Home to the Haka and the famous All Blacks, nowhere says rugby quite like New Zealand! With our season long programme, you’ll experience the buzz of rugby Kiwi style. You’ll play for a local rugby club and spend the season enjoying some fierce rugby and laid back fun. 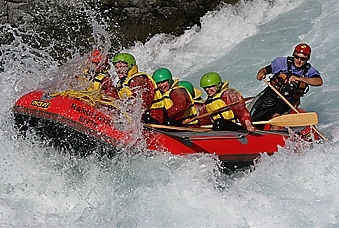 Our Play the Season programme allows you to spend 6 months living, working and playing rugby in New Zealand. With so much time you’ll become fully integrated into overseas life and be able to explore the natural beauty and wonders of New Zealand. You have the chance to live in an amazing city where our centrally located accommodation puts you at the heart of the action. We work with a wide range of rugby clubs in New Zealand. They all offer a warm welcome and superb facilities, so whatever your standard you’ll fit in perfectly! Top teams at each club play in the highest provincial leagues, whereas lower level teams are focused more on having fun. You’ll train 2-3 times a week with matches played at the weekends. Clubs have lots of pitches and most teams’ matches will kick off at 3pm. Everyone then gathers in the clubhouse afterwards for post-match drinks. Most participants will play Colts rugby. The Colts competitions are taken seriously by the clubs and offer an excellent standard of rugby. If you play for your club’s Colts First team, you’ll play with and against New Zealand’s top schoolboy players, some of whom are part of Super Rugby academies. With so many members, your club will be a hive of social activity. There’ll be drinks after training and matches, plus social events throughout the season. Many clubs also arrange pre-season tours - a great chance to get to know your team mates whilst exploring a new part of New Zealand. Our clubs are selected for their high quality coaching and facilities, helping you to return home as a much-improved player. 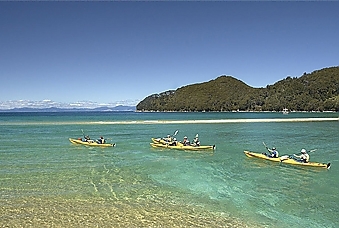 New Zealand’s a beautiful country, famous for its rugby, so what are you waiting for? Sport Lived will help you attain part time work to enhance your CV and boosting your bank balance. Working overseas will help you meet new people and provide more structure to your time away. Your Sport Lived adventure is the perfect time to get work experience and demonstrate the skills that universities and future employers look for - your Sport Lived work experience will help set you apart. Sport Lived will provide loads of help when you're looking for part-time work but ultimately it's down to you to get out there and make it happen. Showing a prospective employer that you've managed to find, secure and maintain a job in an overseas country is highly impressive. Teamwork is at the heart of the Sport Lived experience. Living, playing and training alongside a new group of friends is a great way to develop strong social skills and show that you're a real team player. Joining a new sports club, living in an overseas city and securing a job are exciting challenges that will enable you to grow as an individual, leaving you ready to tackle whatever lies ahead after your Sport Lived experience. Living overseas is a great time to think about gaining invaluable work experience in a field you're considering as a career. Sport Lived participants have volunteered in hospitals, law firms and newspaper offices. Such work demonstrates commitment and initiative. If you would like to obtain paid work during your programme you will need to obtain a New Zealand Working Holiday Visa. 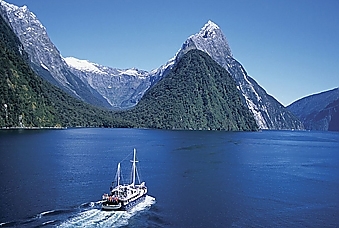 UK citizens aged 18-30 are eligible for a New Zealand Working Holiday Visa which enables holders to live and work in New Zealand for up to 12 months. It costs around £150 and can take up to 4 weeks to process so we recommend getting the paperwork sorted well in advance of your departure. If you don’t plan to find paid employment in New Zealand and have a British passport you do not need to apply for a tourist visa as you’ll be eligible for a visitor’s permit which covers you for up to six months. 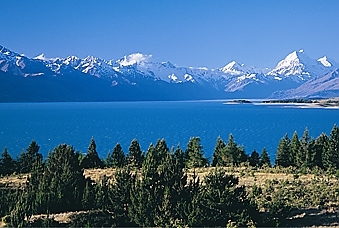 The visitor's permit is granted on arrival in New Zealand. For more information see the Travel & Visa section in the About Us area of our site. 2. What is the standard like? Sport Lived offer programmes for players and athletes of all abilities. Therefore, whether you play at a high standard or not, a Sport Lived programme is perfect for you. A desire to play the sport you love in a spectacular new country is all you will need! 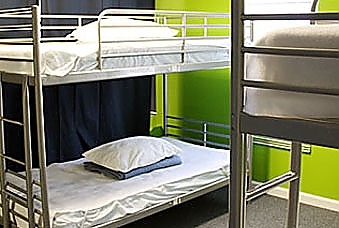 Choose our Standard Accommodation in New Zealand and you will live right in the centre of a fantastic city at one of the best hostels. Your pad is close to public transport which makes it easy to get to your sports clubs for training and matches. It's location also gives you the chance to try out all the bars, clubs and restaurants in and around the city. You’ll share a dorm room with other Sport Lived participants. 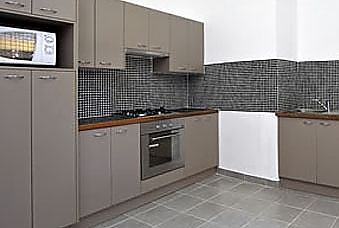 You'll enjoy good facilities including web access, comfortable communal areas and fully equipped kitchens. 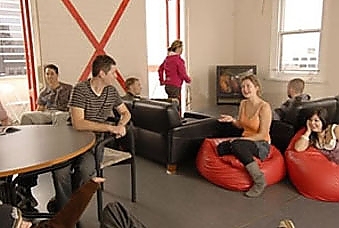 By living in a hostel you'll also get to meet travellers from around the world. to all our programmes in the country and blends all the ingredients for an amazing adventure. Despite being the largest city on the island, Christchurch has a compact centre and laid-back atmosphere. It’s packed with green parks, the River Avon meanders right through the centre and you’ll find plenty of pubs, clubs and restaurants in which to unwind. Christchurch is a gateway to all the attractions this part of the world is famous for, including long sandy beaches, ski resorts and world-class vineyards. As for sport, there’s an abundance of heritage here with Super Rugby champions the Canterbury Crusaders being the most successful union team in the country. Not to be overshadowed, Christchurch’s hockey and cricket teams also excel.